My name is Lynne Stringer and I love writing! Of course, that’s not all I love. I also love reading books, especially ones that take me out of the every day and into a new world. It doesn’t have to be a completely imaginary world, either. Anything with fascinating characters and interesting storylines will do. 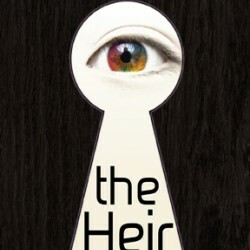 My first young adult novel, The Heir, was accepted for publication by Wombat Books and released on 1 June 2013. It is the first book in the Verindon trilogy. It’s so exciting to have a real copy of my book in my hands.